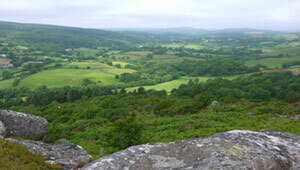 One of the most scenic walks on Dartmoor. This long but most rewarding walk includes some strenuous climbs and steep descents but the scenery is most varied and truly spectacular. You can either start from Manaton at the carpark near the church (£1. 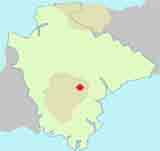 donation) or (free) from Lustleigh,where parking near the church can be limited. Ignore the diversion to Water if you do not want to visit the Kestor Inn. The walk passes Hunter's Tor and the remains of an Iron Age hillfort where recently Roman coins were found. 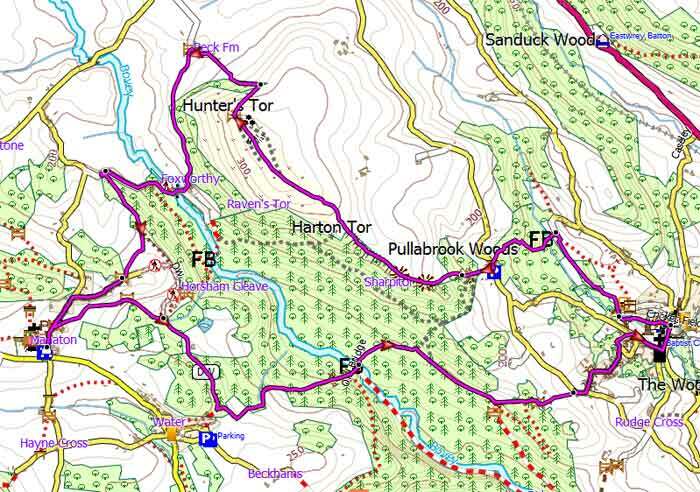 An invigorating but most enjoyable walk from Lustleigh to Manaton & Hunter's Tor following mainly public footpaths. Carefully selected walks with easy car access!